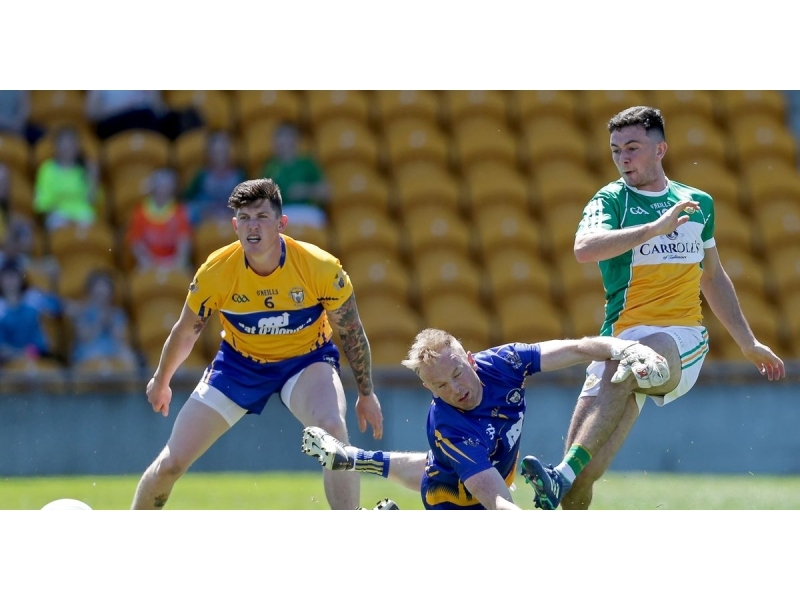 Four points from the bench on a searing hot afternoon in Tullamore proved crucial for Clare as they edged out Offaly to secure their place as the eighth team into the All Ireland qualifier round three pot. 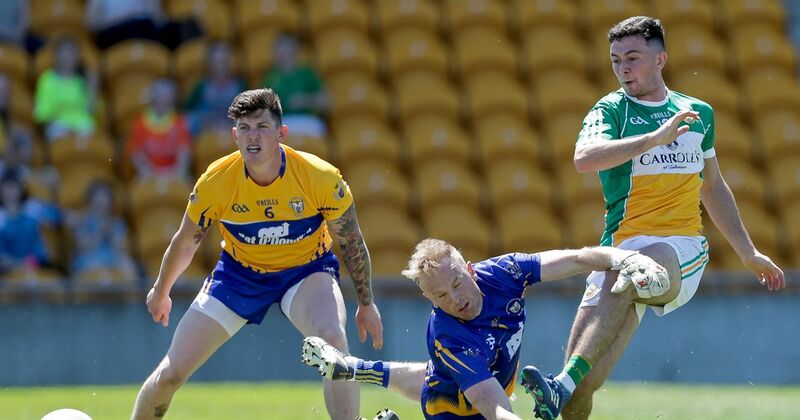 There were several stages of the game when it looked as if the Banner County might pull away and demonstrate the class that saw them compete for promotion in Division Two of this year’s league, finishing 11 spots clear of Offaly, who only avoided relegation on the last day of the season. This was particularly the case in the first half when the blistering pace and goal-scoring instinct of Jamie Malone came to the fore. The Corofin speedster fired in one goal and hit both the crossbar and the post with two other opportunities, but Offaly hung in there and drew level at half time thanks to a goal from an Alan Mulhall penalty. The home side were more than a little fortunate to be level at that stage, though they started well with points from John Moloney and Bernard Allen, as well as a crafty close-range goal from Rúairí McNamee. Clare were utterly dominant for most of the first half however, their control of the game stemming from the aerial supremacy of Cathal O’Connor, who won a plethora of kick-outs and forced Offaly to try difficult placed restarts out to the touchline, often to no avail. Mulhall’s penalty made it 1-8 to 2-5 at half time, and when Pearse Lillis and Eoin Cleary pointed to start the second half, it looked as if Clare would pull away and win well. Instead, Offaly responded brilliantly, led by a superb performance from captain Anton Sullivan. He shot three points from play after half time, while Moloney was a constant threat on the edge of the square as a robust target man. Rúairí McNamee and Moloney both fired over points from close range when a goal looked to be on. Even as these crucial chances went askew, Offaly kept battling right to the end, trading points with their visitors. In the end however, Clare’s greater strength in-depth proved crucial as Gearóid O’Brien (2), Gavin Cooney and Kevin Harnett picked off the key points that secured Clare’s win.